If you are new to Main Street or would like a refresher on the Main Street Four-Point Approach, then we recommend you attend this conference session. 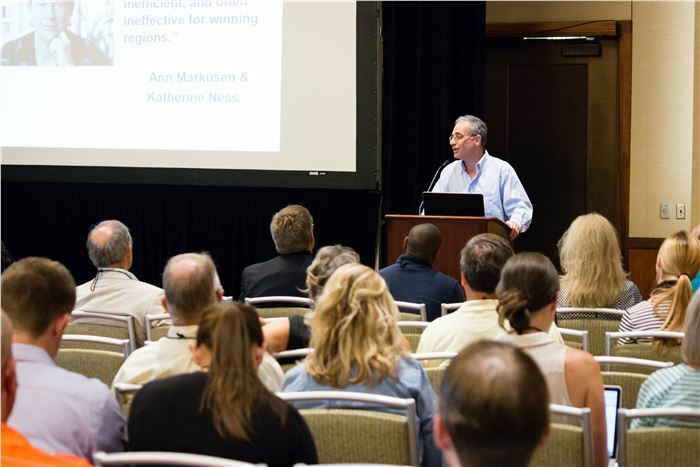 The success of your downtown efforts and those across the country are rooted in the comprehensive Four-Point Approach. Experts and practitioners from the field will present on these points: Design, Economic Vitality, Organization, and Promotion. Main Street 101 will dive into the principles, but also feature examples and best practices from each point so you will walk away with a more detailed knowledge on each point and how to utilize them in your own community. Main Street 101 will be Wednesday, July 24th, from 8am - 4pm. *This session is included with registration of the Get Plugged In Downtown Conference. 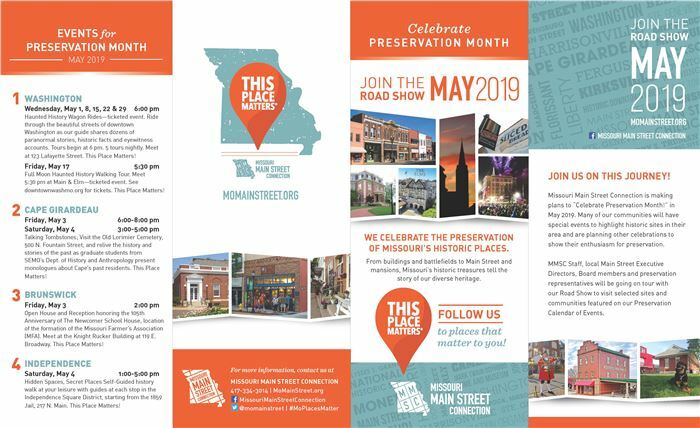 Missouri Main Street Connection is making plans to "Celebrate Preservation Month!" MMSC Staff, local Main Street Executive Directors, Board members, and preservation representatives will be going on tour with our Road Show. We will be highlighting three Missouri historic sites and seventeen Missouri Main Street Communities who are working diligently to preserve their historic resources. Through this project, we hope to encourage Missouri citizens of all ages to learn more about the history surrounding them, discover new sites and communities, and understand the importance of preserving our history and historic places for generations to come.